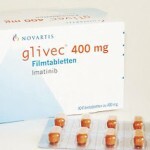 A highly contentious Supreme Court case involving the patentability of Novartis’ anti cancer drug, Glivec continues to be mired in suspense and controversy. And might just make it to the Guinness Book of Records for the most number of recusals. First, it was Chandrasekharan who refused to step down despite the clearest apprehension of bias (given that it was under his administration that the patent was denied and he saw it fit to sit in appeal over his own decision). He was finally forced to step down. Next we have Supreme Court judges recusing themselves owing to general statements made at conferences, grounds that make for much lower “recusal” thresholds. First it was Justice Katju. Now, we have Justice Dalveer Bhandari following suit. He announced this morning that he was recusing himself from this case. 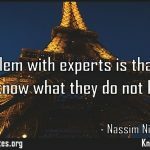 Two years ago, Justice Markandeya Katju of the Supreme Court had withdrawn from hearing a patent dispute vitally concerning pharmaceutical majors. Justice Dalveer Bhandari, the head of the bench that has since been dealing with the case, is now under attack, this time from health activists. Though he did not himself give any reason for it, Katju’s recusal in 2009 from the appeal filed by Novartis was then widely attributed to an article written by him in a legal journal conceding, much to the embarrassment of multinational companies, that “many of the medical drugs available in the market are too costly for the poor people in India” and that “ways and means should therefore be thought out for making these drugs available to the masses at affordable prices”. 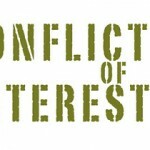 In what seems virtually a reversal of the situation, the health activists demanded on Monday, on the eve of the next hearing of the case, that the government should seek Justice Bhandari’s recusal as he had participated in at least two international conferences for judges organized by the US-based Intellectual Property Owners Association (IPOA), whose members include Novartis, among a host of pharmaceutical and IT giants. The stated purpose of those conferences attended by Justice Bhandari in 2009 ( Washington) and this year ( Brussels) was to help “intellectual property (IP) law attorneys and other interested parties” get an opportunity to interact with judges from around the world. In the 2009 conference, Justice Bhandari presented a paper arguing that pharmaceutical MNCs should “educate people regarding the importance of the protection of IP rights” and they should “make all efforts to ensure that all countries are persuaded to enact proper laws”. Alleging that “several statements in the paper could be held to be in conflict with the intent and letter of the Indian Patent Act”, health activists wrote to three ministers stating that the government should take up the matter of recusal with Hon’ble Justice Bhandari “to avoid any room for questions to be raised once the judgment is given in light of the already expressed opinions on IP”. I’m a little lost here, so will look for guidance from readers who have better insights into the norms relating to recusals. 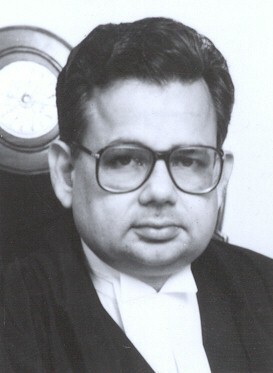 Justice Bhandari advocated the educating of “people regarding the importance of the protection of IP rights” and stated they should “make all efforts to ensure that all countries are persuaded to enact proper laws”. The letter calling for his recual from health activists alleges that these statements “could be held to be in conflict with the intent and letter of the Indian Patent Act”? Really? The Indian Patent Act and the Indian Government do not recognise the importance of IP rights? And the need for “proper laws”? I’m yet to access a copy of the full letter calling for this recusal; it might just be possible that there are more damaging statements in there that could make out a case for recusal. Whatever be the final outcome, this case will continue to mystify those of us tracking it. With so many hurdles along the way, one wonders whether this is the final nail in the coffin for Novartis. Or whether it will wait for another bench to be constituted and fight this case till the finish. I find your comments in the post having a tinge of both sarcasm and humor in it. I find it intriguing that senior SC judges are actually being prodded to step rescue themselves from a very important matter which could have great ramifications for Indian IP interpretations. Both Justice Katju and Justice Bhandari are legal luminaries with a reputation of being upright and endowed with insightful legal intellect. The comments in the paper of Bhandari does not really convey any intent. It seemed to be a perfectly logical statement prodding MNC to shoulder more responsibility in educating the society from which they seek to benefit from. 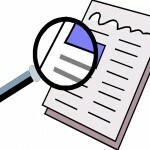 In fact I sense a design to create conditions to enable more friendly judges to take up the case and also to gain time. Why the ruckus over the paper published in 2009 be made in almost end of 2011. It will be interesting to make an study that who stands to gain more from delay and judgments not being pronounced on several issues linked to the case. Further these health activists must also be asked about their objections to the content mentioned. And what according to them is the intent and letter of the Indian patent act. The basis for seeking recusal of judges does seem very odd. If the facts mentioned in the post is all there is then one would have thought that general comments about the desirability of affordable medicines or mere attendance at an IPOA organised conference are not sufficent grounds. Surely, cases are decided on individual facts and unless there is a real case of personal or professional conflict of interest relating to that case, Supreme Court judges can be trusted to decide based on the set of facts in front of them. At this rate, any judge who has ever expressed an opinion on IP cannot be involved in IP cases. This cannot be what India wants to achieve when it is seeking to develop as an innovation based economy….. This seems to be ridiculous. Mr. Chandrasekaran’s forceful recusal is appropriate as he fulfills one of the grounds for recusal i.e. “appellate jury member if previously handled the case as trial judge then…..” But recusals of Justice Katju and Justice Bhandari is not understandable. Their perspectives are within the scope of the Government policies (Since they appear in their capacity of judges). However, even if their personal views are different, it has nothing to do with the case as the case is decided on the merits of the facts produced. Judges of their caliber should be far from being biased (of course with some respected exceptions). The Government should not entertain such requests for recusal by both, the parties to the suit and the judge deciding the case unless it is supported by some significant and valid grounds. Thanks for all your comments. This incident does raise some very perplexing policy issues around the scope and ambit of recusals. What should the norms be in this regard? Apart from the “statements” that the judge allegedly made (and which were harked upon as grounds for recusal), there is the issue of “hospitality” and sponsorship. Was the IPO event funded by Novartis, directly or indirectly? I checked up the IPO website (and the link containing the judges’ proceedings) and it turns out that Novartis was not a direct sponsor. Rather, Interpat was a sponsor—and interpat is an association of pharma companies, comprising of Novartis and Roche. In other words, Novartis was twice removed from the event. It was a member of Interpat which made a donation to IPO which in turn conducted the event. Would this have any bearing or should the rules state that any sponsorship of an event, whether direct or indirect ought to be a ground for recusal? The judges event was attended by around 20-30 other judges from different parts of the world and the donors/members of IPO include General Electric, Microsoft, 3M etc etc. Does this mean that none of these 30 judges can decide any case relating to any of these companies? The judges include Justice Robin Jacob of the UK and Justice Rader of the US. It also needs to be seen whether the Indian judges’ trip to the US and local hospitality was provided by the Indian government or whether the IPO bore this. Would this be a relevant factor in determining recusal? And lastly, are recusals a matter of “perception” and first impressions, which could be rebutted with “facts”. The Indian judges that have attended these IPO events for judges are Justice Dalveer Bhandari and Justice Mukundakam Sharma (both of the Supreme Court). Interestingly enough, these very same judges threw out Roche’s petition in the Supreme Court in the Roche vs Tarceva patent injunction matter. Roche did not get an injunction before lower courts and came before the Supremes. Did the fact that the SC bench (consisting of these apparently “tainted’ judges) dismissed Roche’s case have any bearing on our assessment of whether they can impartially adjudicate upon another case concerning another pharmaceutical patentee, Novartis?